The day after the park walk, C and I went to San Francisco via the Caltrain, of course. First we went to Rainbow Grocery to check out the bulk selection. We were actually too starved to shop, so first we ate our picnic lunch on the bench in front of the store. At Rainbow Grocery, we bought 00 flour (Wikipedia on flour type numbers) for making pasta. C also bought some Rancho Gordo cassoulet beans (would not recommend) and some heirloom Carolina gold rice from Anson Mills (here’s a Serious Eats article on it’s history). C was duly impressed! 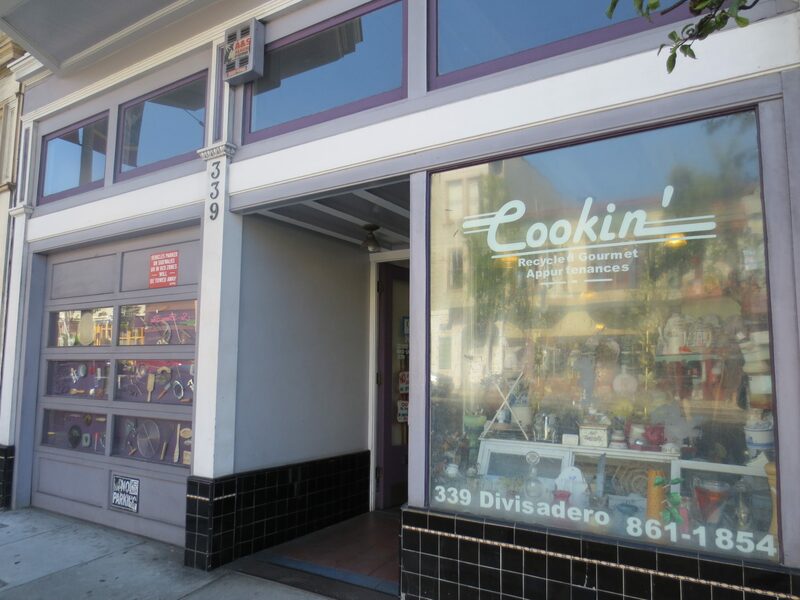 Then we went to Cookin’, a mid-century-European-cookware thrift store. Cookin’ was very impressive! They have a large selection of very niche items – not just one canning food mill, but 5! – and a large selection of vintage and non-electric cookware (e.g. hand-crank egg beater). The store is organized by type, so that all the wooden cooking spoons are together within the larger implement section, the copper pots are together within the larger pots and pans section, etc. Not everything is displayed, so ask if you’re looking for something specific. 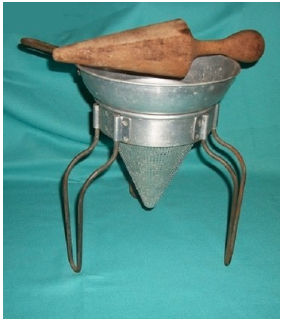 I bought a canning food mill stand, which I haven’t even been able to find on eBay. C bought a wok spatula, which she’s been looking for at thrift stores for ages. The triangle legged thing is the stand. Source. 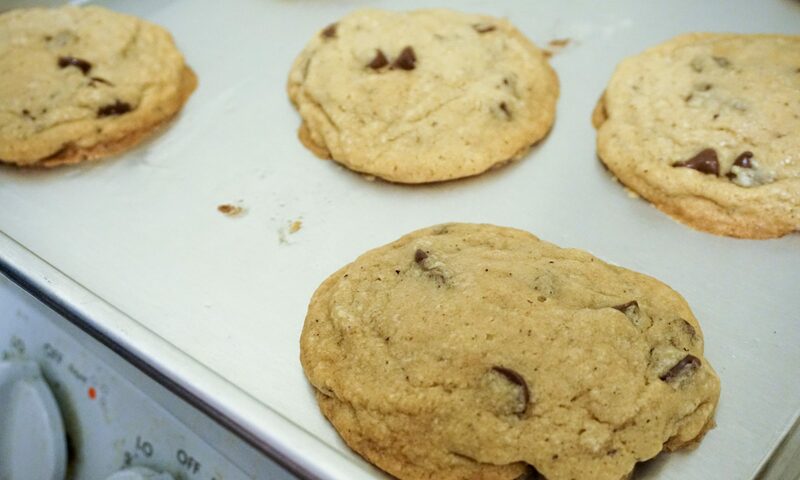 Cookin’ is kind of expensive, but the prices are worth it for those hard-to-find items. The prices for popular items (vintage Le Creuset) are on-par with eBay, but the low demand items seem too expensive (worn plastic spatulas for $0.75). The store specializes in European cookware, so you won’t find a lot of specialty Asian items, e.g. (although C did get to choose between 3 different wok spatulas). 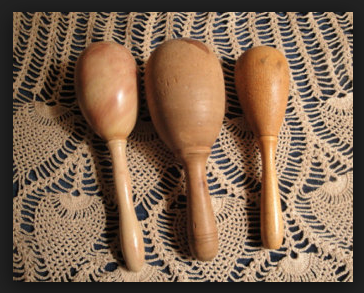 Darning eggs are used to stretch knit fabrics to make them easier to repair. As some reviewers note on Yelp, the shop is like a display of the owner’s personal collection of cookware. The inside is an organized hoard – leave large bags and hats at home to avoid accidents! Enjoy!